Launch your lead4ward work and learn how to use the student-centered, teacher-friendly tools, resources, and strategies from lead4ward to make learning meaningful and engaging. There are more student expectations in the curriculum than most of us can wrap our heads around; and, as a principal, it’s almost impossible to be an expert in all content areas. 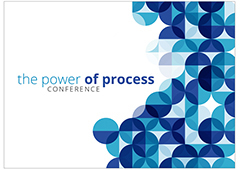 What if we committed to becoming champions of the process standards? The process standards are consistent across grade levels, highly correlate with overall performance on assessments, and help teachers differentiate for learners. Not only are the process standards foundational to T-TESS, they can also serve as an awesome way for developing Student Learning Objectives (SLOs). Leading learning requires strategic, focused, and meaningful use of multiple measures of data (STAAR, local tests, and evidence other than tests); using those data to set priorities; and mapping those priorities onto a professional plan. This workshop is offered for schools subscribing to the lead4ward data tools module in systems such as eduphoria, DMAC, or schoolcity. Data Optics is a hands-on workshop where participants generate lead4ward reports using their own data. For those just starting out with lead4ward tools, the workshop focuses on understanding and using the data tools throughout the school year. An advanced version is available that encourages more purposeful data conversations and response opportunities through customization. The workshop also explores local assessment programs and ways to integrate data types and data visualizations. Note: contact lead4ward for workshop options based on level of understanding or experience with lead4ward data tools. PLCs are challenged to maximize limited time to plan instruction that is relevant, engaging, and rigorous. Learn how PLCs can use the lead4ward Planning Guide to distribute planning between the PLC and the individual teacher. Apply the learning to an upcoming unit of instruction. Prerequisite: While not required, we strongly encourage participants to have gone through the planning instruction class before rules of engagement. We know that learning is not a spectator sport, but how do we teach the standards, prepare students for high-stakes testing, and keep them engaged all at the same time? lead4ward’s Rules of Engagement helps educators acquire the tools to succeed in all these areas! Through lead4ward’s Strategies Playlist and resources on our APP, participants will better understand how to engage students behaviorally, emotionally, and cognitively in the learning process by strengthening their desire to learn, motivation to participate, and academic success. Why do students need to move and talk? How do you ensure students are learning? How do you “think up” instructional strategies? How do you manage an active classroom? What is the connection between strategies and lead4ward’s Planning Guide? Get ready to move around, rehearse strategies first hand, and leave totally inspired as we learn how to teach, reach, and engage students like never before! Campuses accommodate a wide range of student abilities in their classrooms. As students struggle with learning, teachers and PLCs need structures and strategies to meet the unique learning needs of particular students. In this class, campus leaders and teacher leaders learn how to leverage local assessment data in the moment, at the end of instruction, and over time to plan intervention that supports all students. We will explore the intervention concept of “pulling the string” and how it can ensure that no one goes backwards. Texas has transitioned to the “new” A-F Accountability System. This workshop explains the data measures and indicators that TEA uses in the A-F Accountability System – and the impact those data measures have on instruction. The focus of the session is to help leaders connect the concepts and performance measures included in the accountability system with sound, professional-development practices and strong instructional systems that support learning for all students. Let’s rock review for STAAR! A new twist on a classic, Rockin’ Review: Volume 2 for Leaders will focus on how to support teachers to motivate students to engage with content that they may have struggled with earlier in the year. We will anchor on the content that is essential for kids to learn and address the highly tested concepts. Using examples from each content area, we will model NEW strategies, plan with the updated 1-2-3 plan, review the updated quick start guides, and deepen understanding of lead4ward resources that specifically facilitate effective review. planning instruction – Is your campus new to lead4ward or learning how to use lead4ward resources to plan instruction? evidence of learning – (formerly staar4ward) – Is your campus applying lead4ward resources to plan instruction and ready to evaluate for evidence of learning? 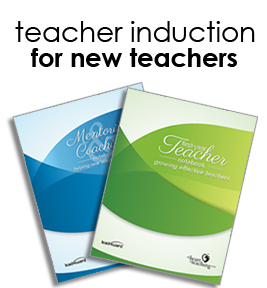 What is the Heart of Teaching Induction? It is more important than ever for special education teachers and instructional leaders to connect their understanding of the rigorous learning standards with effective, specially designed instruction in order to prepare students with disabilities for success in the next grade level and ultimately, life after high school. Participants will apply the knowledge learned in CSI: Connecting Standards to Informed Decision-Making to the IEP planning process. This hands-on training takes a deeper look into the process, readiness, and supporting standards and the role they play in our curriculum. We will focus our attention on the long strand standards — content standards that build across grade levels and have relevance in future learning and in life — that will provide your students with special needs multiple access points to the rigor of the curriculum. 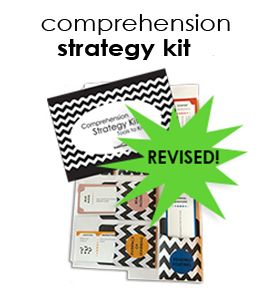 Strategy instruction is the only instructional method that has been shown through research to enable and prepare students with disabilities and other “at-risk” students to meet the complex learning demands of secondary and post-secondary schools. Special educators are often in a unique role of supporting students in multiple grade levels and content areas, but many feel as though it is impossible to develop expertise in all the student expectations. What if special educators committed to becoming champions of the process standards? The process standards are consistent across grade levels, highly correlate with overall performance on assessments, and help teachers differentiate for learners. They also serve as high-impact standards to assist teachers with effective progress monitoring and selection of standards for aligning IEP goals and objectives. Many students with disabilities still do not read fluently after elementary school. When students are fluent, comprehension improves. How do we build reading fluency while still helping our students meet the complex demands of secondary content instruction? This workshop teaches a framework for understanding fluency and word study in the context of secondary content. Participants will learn practical strategies to give students with disabilities access to text that connects to grade level standards and can be implemented in a variety of service delivery models to best meet the needs of individual students. Target Audience: Special Education teachers and leaders -or- collaborative teams of special education, general education, and leadership. Are you looking for innovative ways to provide specially designed instruction for students being served by special education programs? The goal of the lead4ward Special Education Academy is to provide a learning and support system for educators with face-to-face professional development and virtual support throughout two consecutive school years. Participants will synthesize, adapt, and transfer current and new learning to provide effective instruction, intervention, practice, and assessment. Following a learn, practice and reflect model, academy members will leave with the confidence and competence to set in motion relevant change to promote students as lifelong learners. Comprehension is everything! 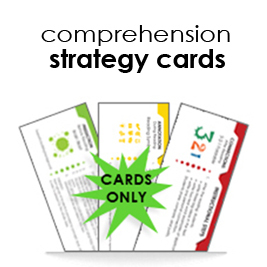 The ability to apply comprehension strategies can be cognitively demanding and is critical for understanding what is read, heard, and viewed. It is important to understand the comprehension process to plan and execute effective teaching, learning, and application. Join the lead4ward team as we learn the “how” of teaching comprehension and leveraging an interactive notebook. 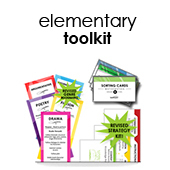 Are you looking for innovative ways to provide Reading and Writing instruction? The goal of the lead4ward Reading and Writing Academy is to provide a learning and support system for educators with face-to-face professional development and virtual support throughout two consecutive school years. Participants will synthesize, adapt, and transfer current and new learning to provide effective reading/writing instruction, practice, and assessment. Following a learn, practice and reflect model, academy members will leave with the confidence and competence to set in motion relevant change to promote students as lifelong readers, writers, and learners. Writing is for everyone and everyone can write, but writing is messy! How do we provide students a strong foundation and streamline the process of teaching writing? This session organizes eight power-packed instructional practices that provide a framework for effective writing instruction and student learning. We’ll focus on the writing process as the foundation for all aspects of writing: thinking, organizing, and creating. Teachers will experience writing through the lens of the student and will leave with tools that can easily be implemented the next class day and leveraged all year. Is it that time already? Join lead4ward as we sort through the new and old TEKS as a way to determine curriculum and instructional “keepers” and shifts. The NEW Reading Language Arts TEKS offer an opportunity for a more connected and integrated approach to literacy. During this session, we will explore the prospect of approaching reading and writing as one literary process by providing participants a hands-on example. 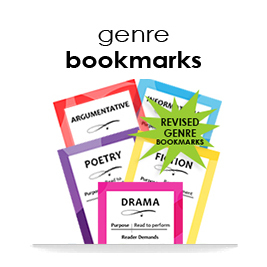 Direct learning, practice, and application ideas will be offered to connect multiple genres through the integration of reading and writing. Join the lead4ward team as we move students from passive participants to active learners! Let’s rock review for STAAR! A new twist on a classic, Rockin’ Review: Volume 2 for Reading will focus on how to motivate your students to engage with content that they may have struggled with earlier in the year. We will anchor on the content that is essential for kids to learn and address the highly tested concepts. Using Reading examples, we will model NEW strategies, plan with the updated 1-2-3 plan, review the updated quick start guides, and deepen understanding of lead4ward resources that specifically facilitate effective review. Note: Problem Solving in the Math Classroom is suggested prerequisite. Do you want to develop self-sufficient, independent thinkers? Are your students struggling with how to start a math problem or effectively communicate their understanding of the content? This session will focus on the effective planning of the process standards to support students with “Tools to Know” to initiate the problem-solving process and “Ways to Show” their understanding of the content. As place value is the foundation of all that grows in Mathematics, it is essential that our students have a rock-solid understanding of how to represent and compare whole numbers. 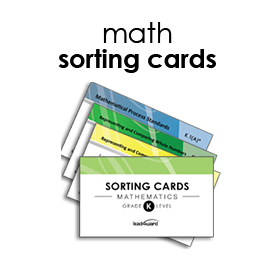 This session focuses on the place value progression throughout the grades–how the conceptual understanding of place value extends to a better understanding of comparison of values as well as how to support a student’s ability to develop their own algorithms and effectively employ the use of properties of operations when adding and subtracting. Being able to select the appropriate operation(s) and represent real-world situations with an appropriate number sentence/equation are foundational for young learners in securing their understanding of whole number operations. This session focuses on how to move students from concrete to abstract representations of math problems to build that algebraic mindset. Is the sum of all your parts not equaling the whole when it comes to the Fractions strand of Mathematics? Fractions can be very complex for young learners until they understand the value of a “whole” and experience the “parts of the whole” through a variety of concrete representations. 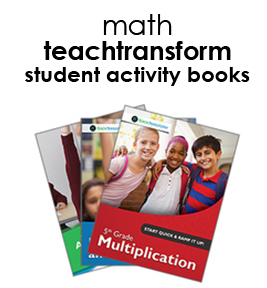 Spend a day experiencing the verticality of Fractions in the elementary curriculum. Measurement can be complex for young learners without having those hands-on experiences and relation to real life. Come lengthen your knowledge of the measurement standards, build capacity within your instructional practices, and weigh in on some new ideas. Process = Engagement + Thinking – That’s the Power of Process! Process standards are all about “how” we learn! Explore how to go beyond basic-level thinking and help foster life-long learners and problem solvers through teaching the process standards. Let’s rock review for STAAR! A new twist on a classic, Rockin’ Review: Volume 2 for Science will focus on how to motivate your students to engage with content that they may have struggled with earlier in the year. We will anchor on the content that is essential for kids to learn and address the highly tested concepts. Using Science examples, we will model NEW strategies, plan with the updated 1-2-3 plan, review the updated quick start guides, and deepen understanding of lead4ward resources that specifically facilitate effective review. Do you want to develop self-sufficient, independent thinkers? Are your students struggling with how to apply their understanding of the content to a variety of stimuli? This session will focus on the effective planning of the process standards to support students with “Tools to Know” to initiate the critical-thinking process and “Ways to Show” their understanding of the content. 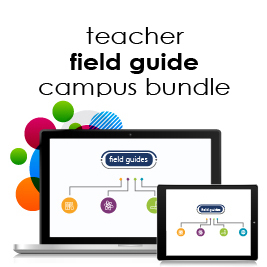 Move beyond the lecture and liven up your Social Studies classroom. Engaging students in the learning process is mandatory for content retention. How can you do that when there is so little time and so much content? Discover historical analysis routines and practices for students to embed and internalize for transfer to independent analysis of primary and secondary sources. Experience effective strategies from the lead4ward playlist that include rigorous thinking and rich content! Effective social studies routines and engaged strategies will enrich all social studies classrooms. The 8th Grade Social Studies ePLC (online Professional Learning Community) helps teachers build their understanding of big-picture concepts and content nuances through webinars and other resources that address each major topic. Teachers often struggle to translate the volume of TEKS standards and Social Studies content into manageable chunks of instruction. Front-loading teacher planning time with lead4ward’s ePLC allows them to spend constructive time within their PLC designing engaging experiences and planning targeted lessons that promote content retention, comprehension, and historical thinking skills. How and when should we intervene to ensure students are successful? And what methods could we use for students at different thresholds? 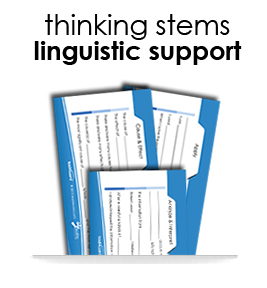 New this year, each topic also includes a webinar that discusses what intervention could look like for students who are struggling to access the stimuli and/or need support with inferential thinking. NOTE: There is no ePLC for high school US History this year. Let’s rock review for STAAR! 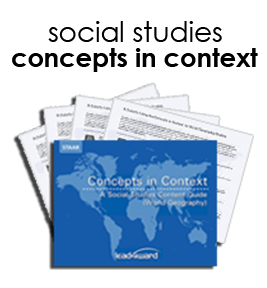 A new twist on a classic, Rockin’ Review: Volume 2 for Social Studies will focus on how to motivate your students to engage with content that they may have struggled with earlier in the year. We will anchor on the content that is essential for kids to learn and address the highly tested concepts. Using Social Studies examples, we will model NEW strategies, plan with the updated 1-2-3 plan, review the updated quick start guides, and deepen understanding of lead4ward resources that specifically facilitate effective review. New to lead4ward? Come join us for a day of fantastic fun and amazing learning as we help you launch your lead4ward work! You will learn how to use the student-centered, teacher-friendly tools, resources, and strategies from lead4ward to make learning meaningful and engaging.